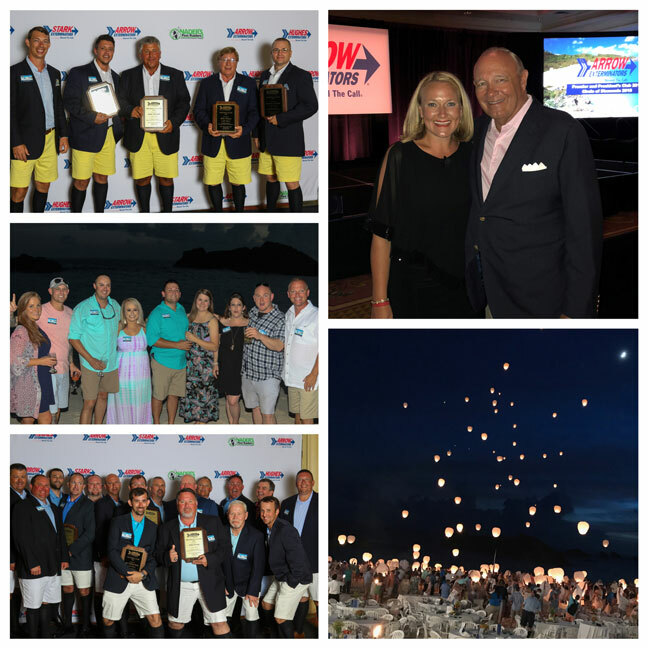 Atlanta, Ga.-based Arrow Exterminators recently hosted its top-performing sales professionals and management team members at its annual Premier Club and Circle of Diamonds event at the Fairmont Southampton on the island of Bermuda. The celebration started with special dinners on Wednesday night for qualifying management team members and the “President’s Club,” an exclusive segment of the Premier Club who achieve even higher goals than their colleagues. The party continued for the remainder of the week and weekend as the 425 participants were treated to fun and sun on the beaches of Bermuda, downtown shopping, and fishing and golf tournaments. Thursday’s highlights included dinner on the beach, followed by the release of more than 400 Chinese lanterns into the night air to mark the company surpassing $200 million in its fiscal year; it continued with dancing to a live band. On Friday evening, Arrow Exterminators held its awards reception and banquet to recognize and celebrate the successes of the individual award recipients. In true Bermuda fashion, the men in attendance donned formal Bermuda attire including colorful Bermuda shorts, knee-high socks, shirt and sport coat.